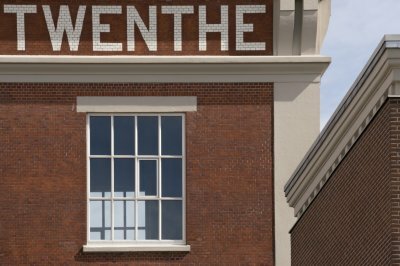 Higher Textile School De Maere was built in Enschede in 1922 as a combination of a learning school with (classrooms) and a learning factory at the rear of the building, where practical lessons could be followed in a factory setting. 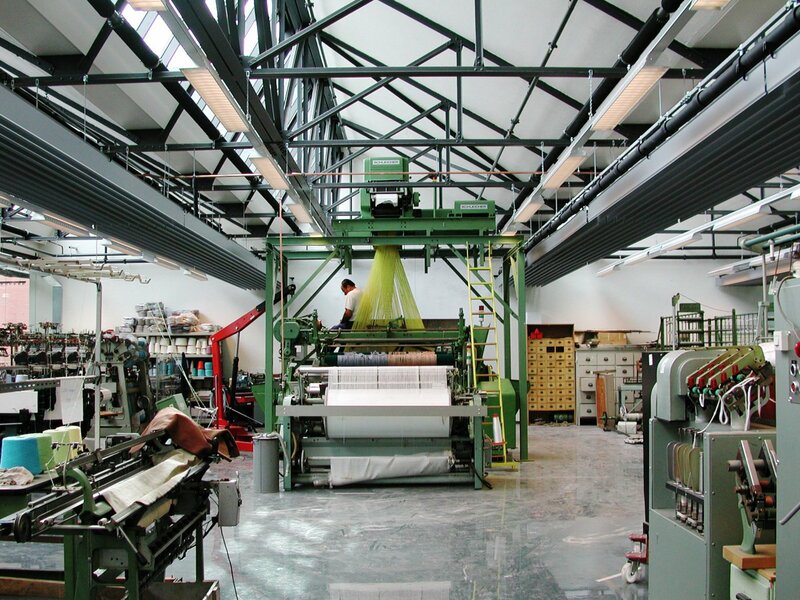 After a period of vacancy in the late twentieth century, demolition was prevented because the Twente Textile and Apparel Centre Expertex, a collection of institutions connected to the textile industry, including Saxion University, ROC Twente and textile research institute TNO Textiles, settled in the building. 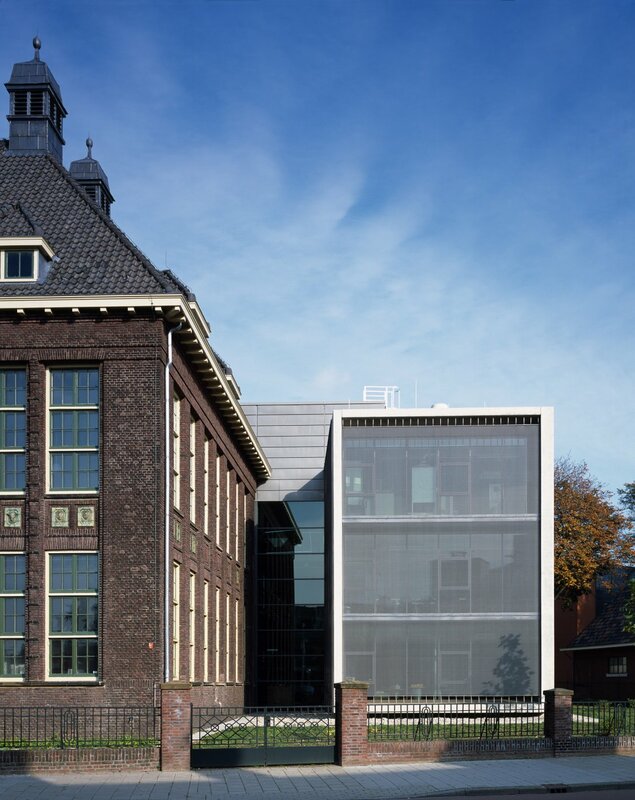 Expertex commissioned the historic school to be restored and made suitable for modern textile education as well as to design an extension of laboratories and offices for TNO. The building of the former Higher Textile School has been a national monument since 1999. 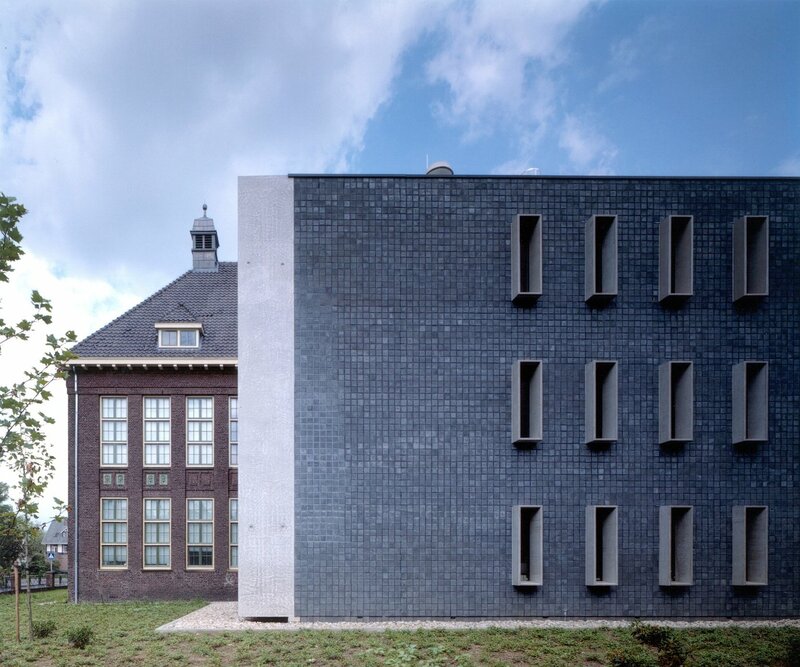 During the restoration, the learning school mostly remained intact, existing spaces were restored and renewed, but of the learning factory, the two easternmost parts were demolished. 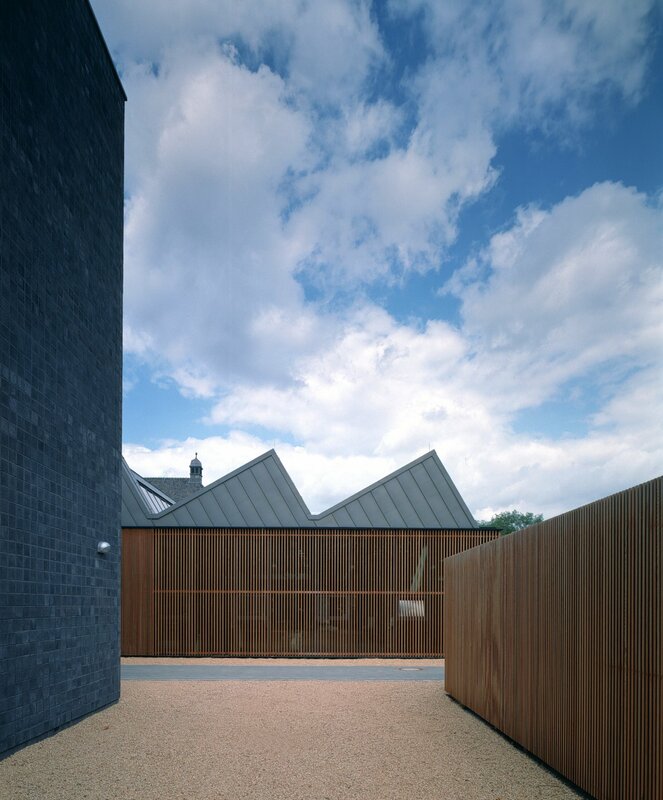 The original structure with saw-tooth roofs was renovated and the facades were filled in with a vertical wooden slat structure and glass for maximum transparency. 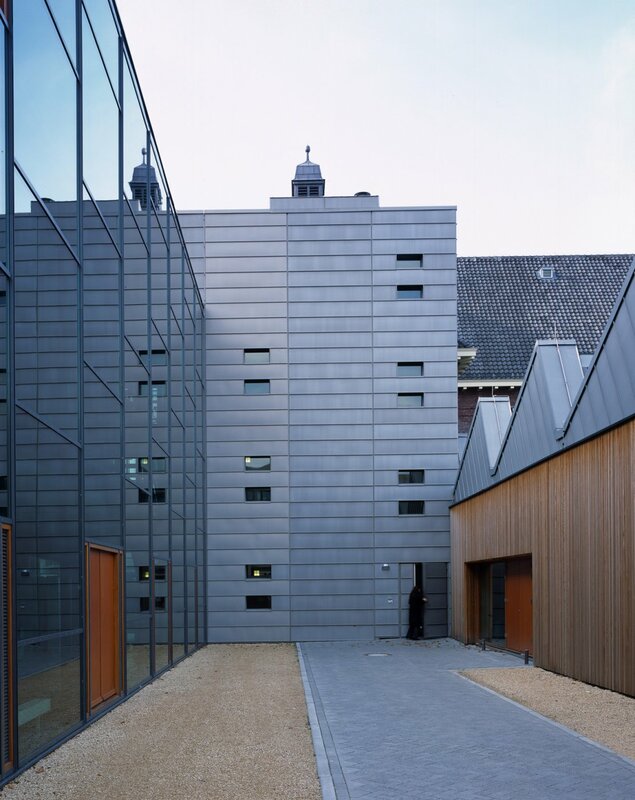 In close consultation with the Government Department for the Conservation of Historic Buildings and Sites, De Maere was expanded with a laboratory building for TNO. On the south side, a simple rectangular volume, independent of the historic building, was placed. 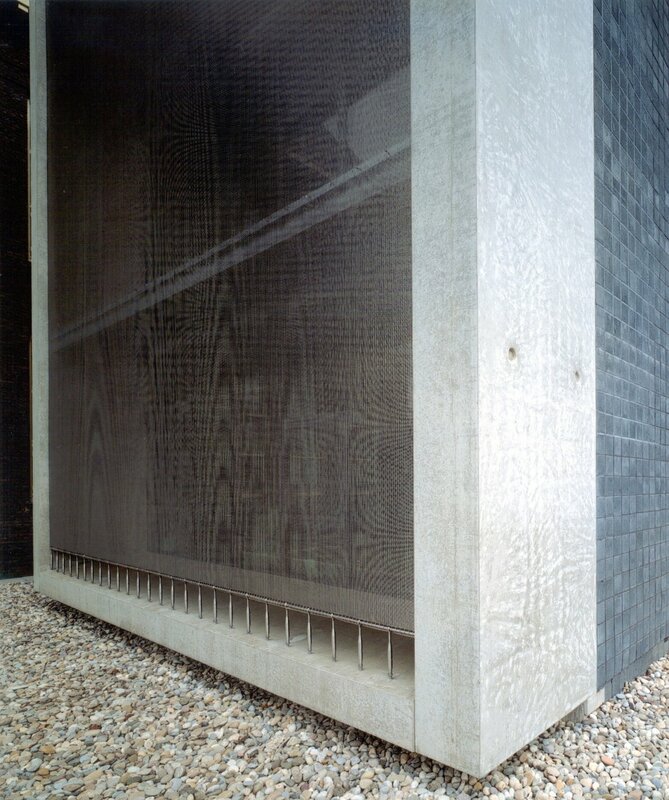 The expansion has side facades of stone and a front facade of glass in a concrete frame with a steel mesh as solar shading. The laboratories themselves are built to the rigorous climate requirements for textile research. 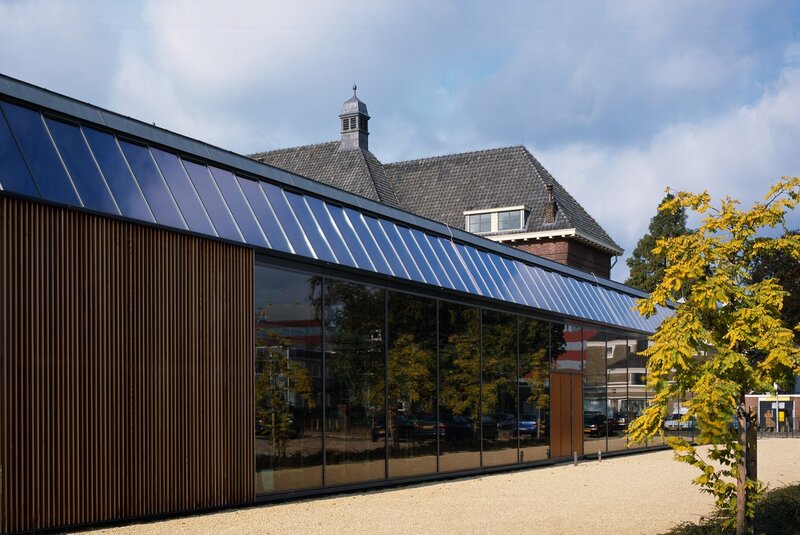 When a new educational building for Saxion University was completed on the east side of De Maere in 2009, Saxion moved its textile education into this new building. 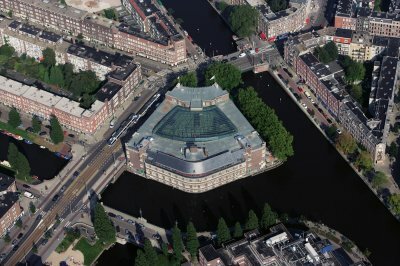 At the same time, the main entrance of De Maere was moved from the Ariënsplein to the Galenstraat, where the entrance to De Maere was from then on shared with the new Saxion building. 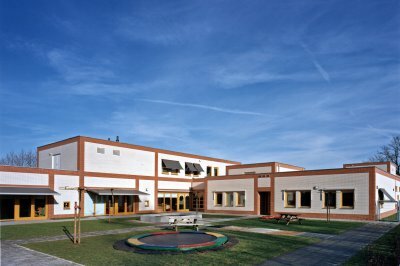 When TNO moved its research institute to Soesterberg in 2014, the spaces which thus became vacant were made suitable for education and since then, the complex has been fully occupied by ROC Twente for the divisions design, fashion and media. Click here to take a 3D tour through the entire building!